Fancy yourself as Buffalo Bill or Billy the Kid? 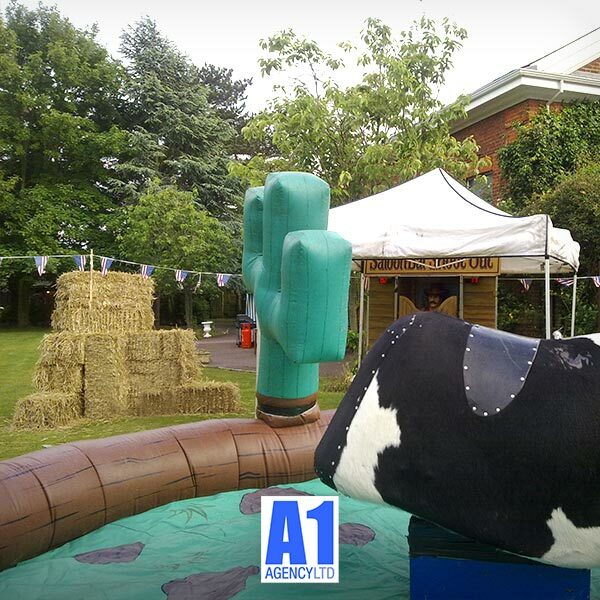 Our western parties bring the wild west to your event. Whats a hoedown or a hootenanny without a hay bale or two. These are a great and very cost effective idea to give any indoor or outdoor venue a real wild west feel. 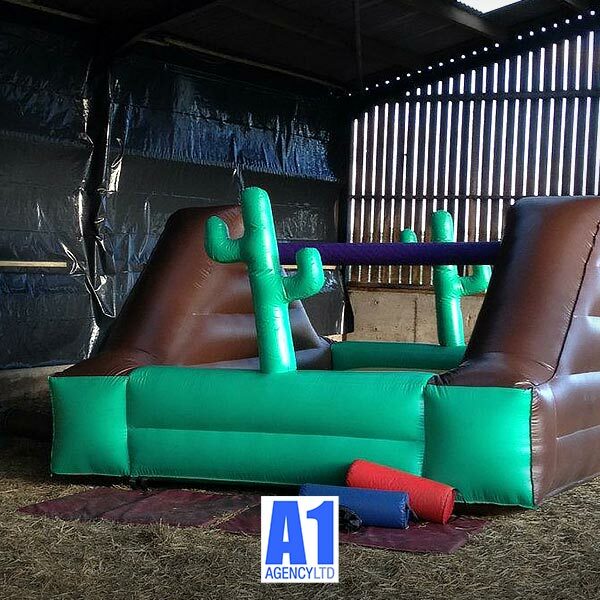 These are priced as low as £5 per bale when added to one of our wild west event packages including delivery and removal. 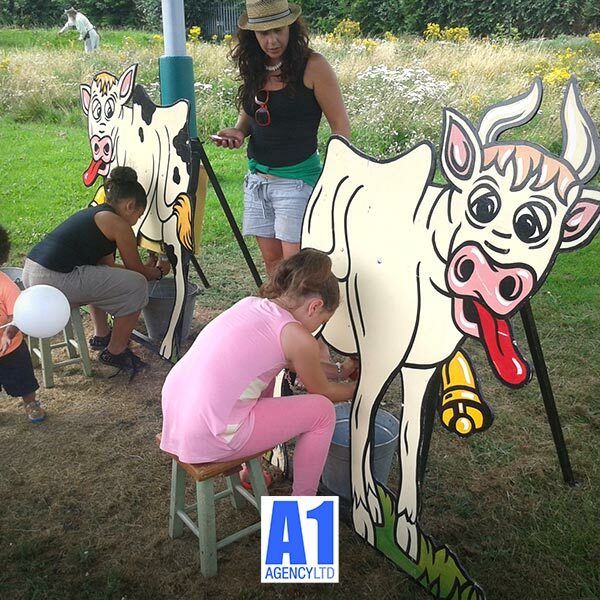 Milking Cow Racing is a crowd pleasing game where 2-4 players race against each other to see who can get the most liquid in their bucket in the time given by squeezing the cows udders as fast as possible. 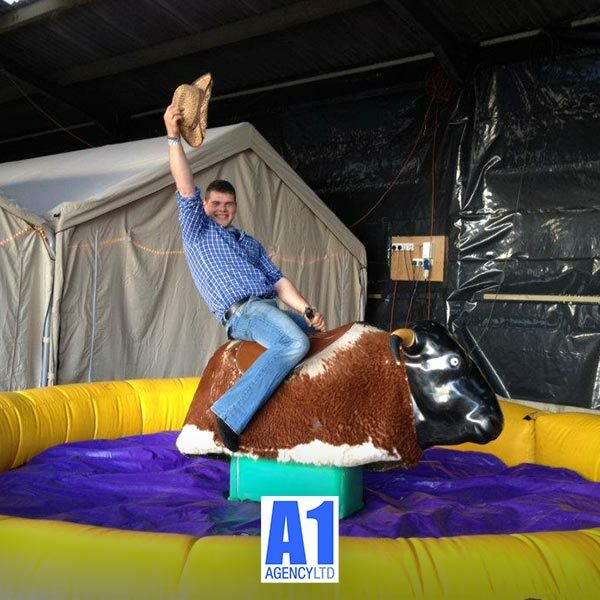 One of our biggest sellers are Rodeo Bulls which go down a storm at every event. 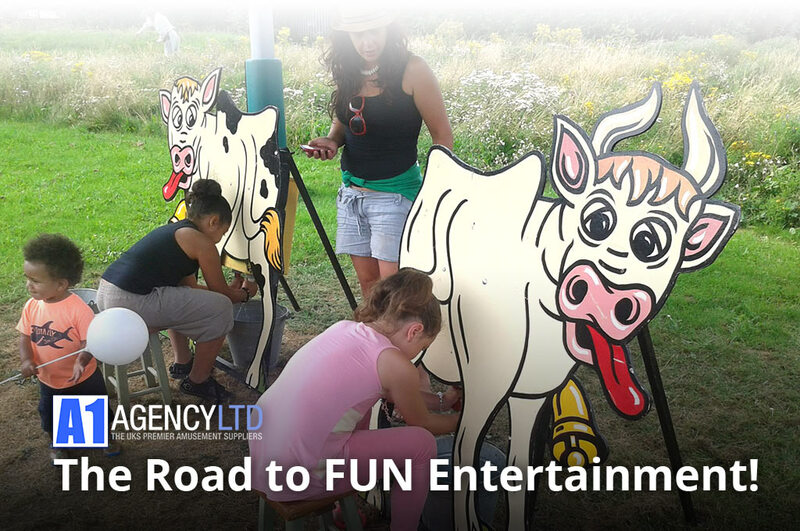 All our Bulls are run by trained operators to provide the perfect balance of fun and safety. Rodeo Bulls are ideal for both kids and adults. The speed is controlled by the operator to ensure the ride is safe and enjoyable for every rider. Animated Quick Draw game where players stand in the Chaps in front of the Saloon Bar. 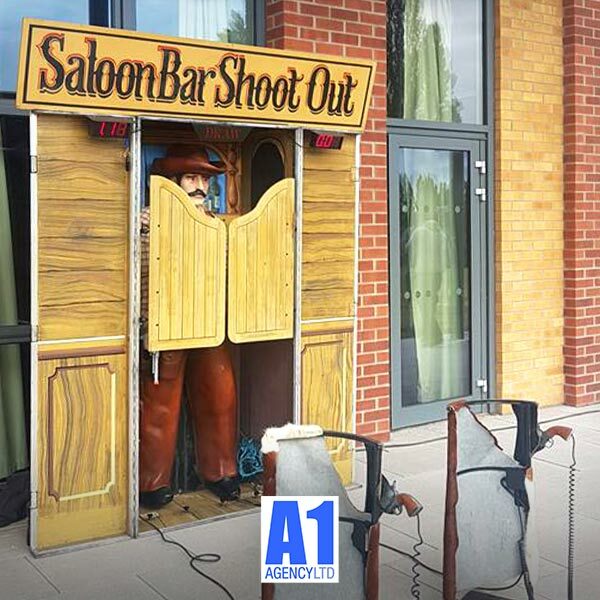 As the doors spring open, the 3D cowboy raises his arm to shoot, the 'Draw' sign illuminates, and each player must draw their Colt 45 from their holster and shoot at the cowboy as quickly as possible. The reaction times are shown on LED displays and the traditional funeral march music is played for the loser! The Quick Draw also has gunshot sound effects and when left unused for a few minutes plays Wild West style Honky Tonk music to attract the attention of more Quick Draw participants. A fun twist on a saloon bar brawl where you use the soft bashers to knock your opponent off the pole. This game always goes down a storm at the office party and fits in perfectly to any wild west event. For more info about hiring our Bucking Broncos / Wild West Games, or to receive your quotation, send us an online message below.